If you hadn’t heard, the Raspberry Pi is a tiny microcomputer roughly the size of a credit card. It was originally developed for education purposes, but has found its way into the arsenal of many a tinkerer due to its low cost and simplistic development abilities. At only $5 at launch, you could buy one of these things for about the cost of an expensive cup of coffee, which made it a no-brainer for those looking to create imaginative projects which only needed a simple computer to program to. 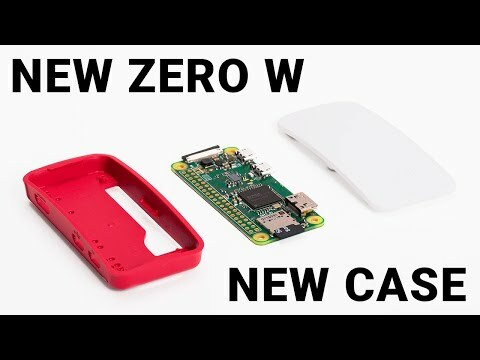 Today marks the 5th anniversary since the original Raspberry Pi first launched onto the market, and so the group is celebrating by announcing the newest model available to consumers, the Raspberry Pi Zero W. The new variant is the evolution of the original Raspberry Pi Zero, but adds wireless LAN and Bluetooth capabilities. If you want to get your hands on one of these bad boys, it will only cost you $10. The team thinks that this will turn out to be one of the premiere development boards for IoT developers, and if you want to get your hands on one, head to the links below to place your order. Is this something you’re looking to pick up? In the midst of the MWC hullabaloo, Reddit released a small redesign to its official Android app. Gone is the cluttered hamburger menu, so say hello to a bottom nav bar that’s taking its place — for better or for worse. Version 2.1.9 also brings some other changes, which are mentioned in the official changelog. We’ve now switched to bottom tabs for navigation – no more crowded hamburger menu! The official Reddit app v2.1.9 receives a redesign to introduce bottom navigation was written by the awesome team at Android Police. Samsung is broadening its RCS efforts following the acquisition of NewNet Communication Technologies last November. Its RCS messaging service, which is based on a solution from NewNet, will be available on its smartphones running Android Marshmallow or above from an unspecified date in the future. Samsung says it has partnered with a number of carriers to integrate the technology, including Deutsche Telekom, KT, SK Telecom, T-Mobile and Vodafone. The tech giant also claims its RCS solution also will be available as a full package or with modular options to allow carriers to personalize the service, should they wish to. Samsung states that its service is compatible with the latest GSMA RCS specifications, which means it should work with Android Messages (formerly Google Messenger). “As a standards-based solution, it will be a true messaging evolution post SMS/MMS, making it possible to achieve a global footprint very quickly,” wrote Samsung in its press release. RCS messaging allows users to participate in group chats, see “message read” receipts, conduct video calls and more without requiring any additional app. For everything else you need to know about it, read our RCS messaging explained article at the link. At MWC in Barcelona, SanDisk has expanded its line-up of A1 (App Performance Class 1) compatible microSD cards. The company announced the SanDisk Extreme 256 GB memory card that can manage random read input-output access per second (IOPS) of 1,500 and write IOPS of 500. This means that it is capable of opening apps quickly as well as processing accompanying tasks including audio, graphics, saved profiles, and in-app permissions. The new memory card offers transfer speeds of up to 100 MB/s, which is slightly faster when compared to the memory card the company announced at CES this year (95 MB/s). Dinesh Bahal, vice president of product development, said that when it comes to app performance, A1 is a real game-changer for the industry. He also mentioned that the company is excited to play a significant role in the evolution of the microSD format as well as work closely with smartphone makers to offer more advanced storage solutions. The new microSD card is aimed at heavy users who take a lot of images and have a bunch of apps on their device, especially using the Adoptable Storage feature, which format microSD card for use w. With a capacity of 256 GB, it should be enough for the majority of people. It will go on sale in late March 2017 and will retail for around $200. HTC is about to get edgy, if these recent leaked screenshots are to be believed. The company might be working on a new flagship device with high end specs like a Snapdragon 835, 5.5″ display, 4/6GB RAM and 64GB storage, USB-C, Android 7.1.1, and a new mysterious “Sense Edge” feature that has something to do with the borders of this specific phone. Our only hint is a toggle in the settings for “Edge Sense” with an icon that looks like a finger reaching for the edge of the device. Leaked screenshot hints at a new HTC Edge Sense feature and/or phone was written by the awesome team at Android Police.